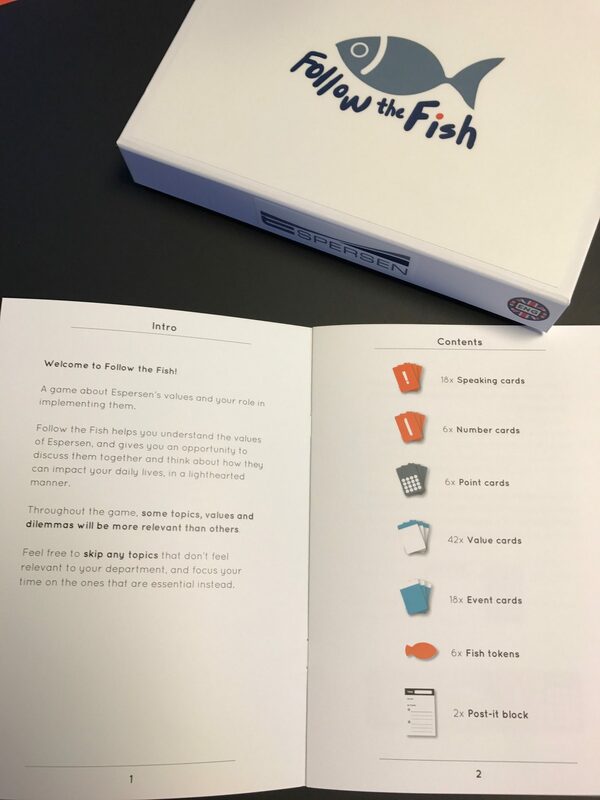 Follow the Fish is a game about values, which was developed to get managers and employees to quickly understand current or new values in their workplace, across departments and for gathering feedback from those who need to follow the values. 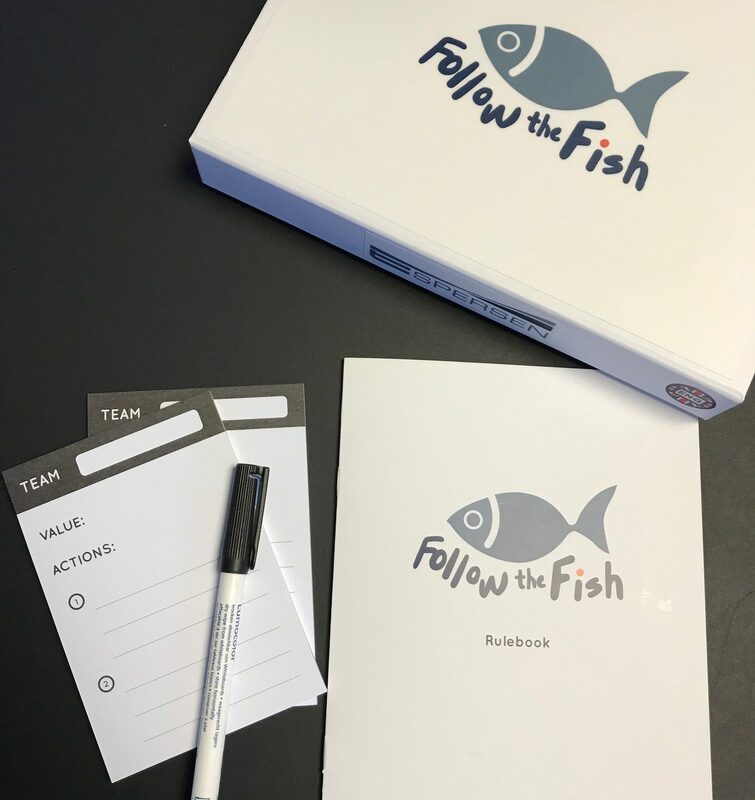 In Follow the Fish, employees are challenged to put the values into play based on their own practice, so that values have gravitas and content and aren’t just empty concepts. The game can also be used to collect valuable and action-oriented ideas for the management from all employees. 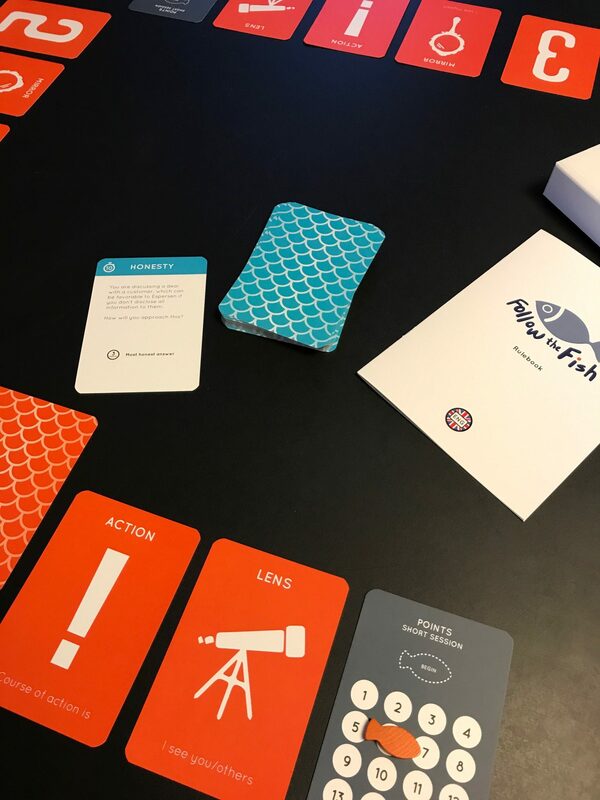 The game was made specifically for Espersen, who struggled to communicate their new values to employees and to quickly implement them in the work culture. Together with Espersen we identified a board game as the best solution, because it fitted well with the company’s context. Working closely with Espersen, we developed the game through our Co-Creation process to ensure that all the values were clear in the game and communicated in an engaging way, and within a sensible timeframe for the individual department. 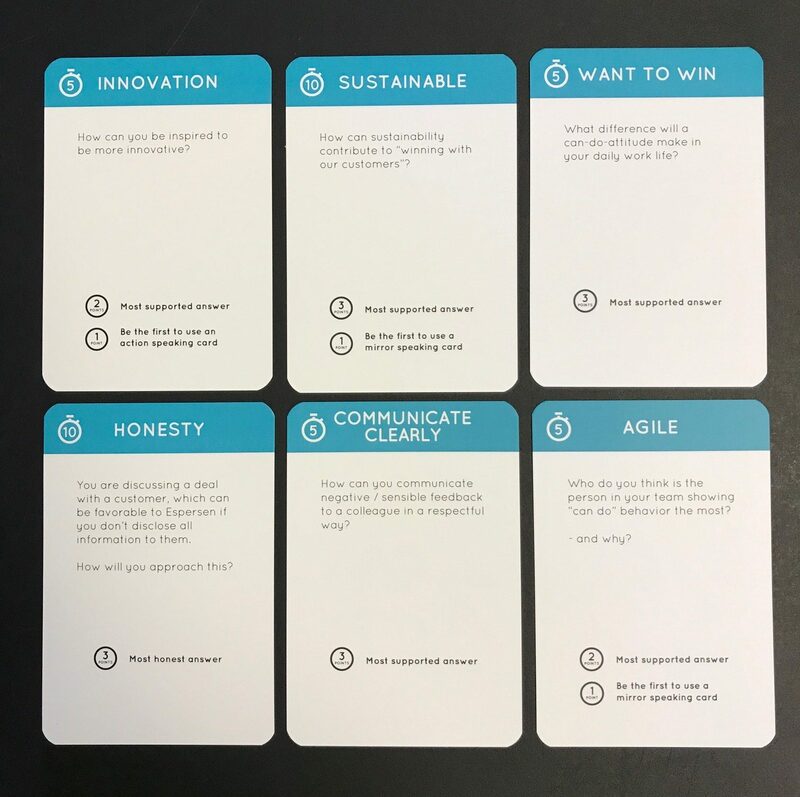 The result is a game that gets employees talking and reflecting about the values and, more importantly, engages them to understand the values so that the organisation can ensure that all their employees actively incorporate them in a way that benefits everyone. The core of the game is designed so that you can quickly and easily get your own value game or maybe use it to solve a different challenge. Contact us for more information.